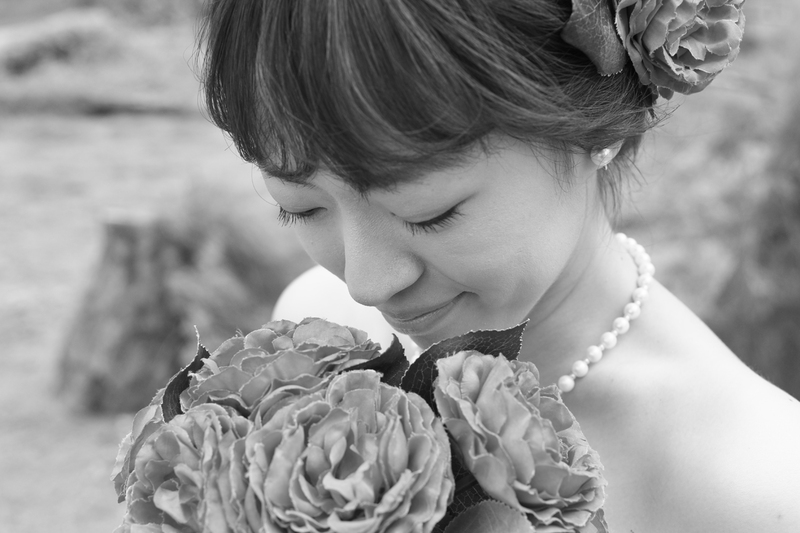 Lovely Japanese Bride Aya in black and white. Hawaii honeymoon photos in East Oahu with Photographer Robert. Call Bridal Dream Hawaii at 808-924-3600 for black and white photography in Honolulu.